KTM rookie Ken Roczen captured his first 450 class win in the AMA Supercross world championship, taking the season opener at Angel Stadium in Anaheim, Calif.
An audience of 45,050 fans watched a clean race from the rookie while errors by veterans like James Stewart and three-time reigning champion Ryan Villopoto knocked them out of contention. 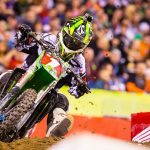 Villopoto had a strong start, taking the holeshot and leading the first eight laps, just like the Kawasaki rider had done so often the last few seasons. Roczen was right on his tail the whole way however, until Villopoto crashed on Lap 9. 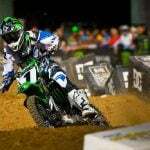 The mistake handed Roczen the lead, with Kawasaki-riding Chad Reed and KTM’s Ryan Dungey behind him. Meanwhile, Yoshimura Suzuki‘s Stewart made his way up among the leaders, passing longtime rival Reed on Lap 12 to claim second place. JS7 then turned his sights onto Roczen. 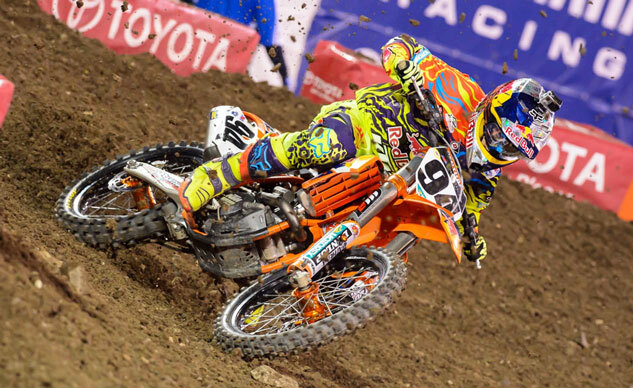 Stewart saw an opportunity to catch Roczen on Lap 16 but instead crashed, ending his race. 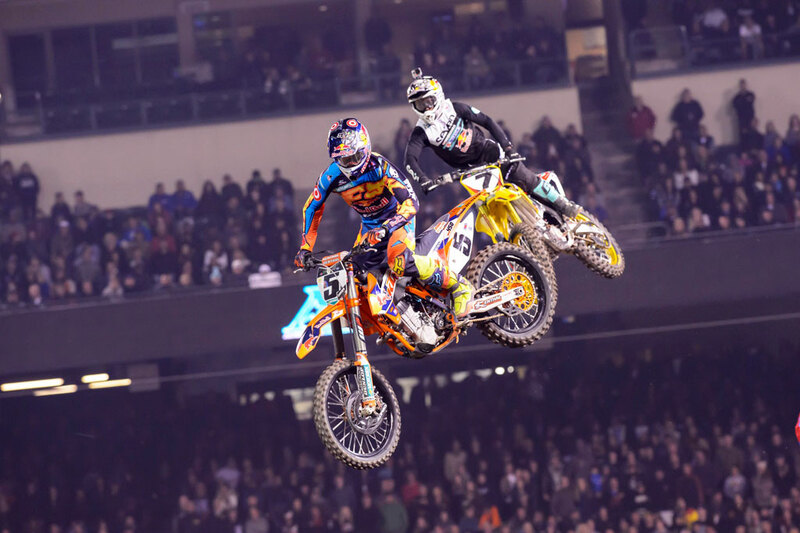 The rookie then nursed his lead for the final laps for his maiden win, finishing 3.186 seconds ahead of his teammate Dungey while Reed finished a few seconds later in third. 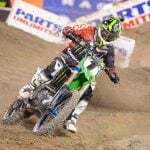 Villopoto was able to recover from his mistake to finish off the podium in fourth. Meanwhile in the Western Regional 250 class, Rockstar Energy Racing’s Jason Anderson won on his 250SX-F, making it a sweep for KTM. Anderson took the early lead until he was passed on Lap 4 by Troy Lee Designs Honda rider Cole Seely. Anderson was undeterred however, staying with Seely for the 15-lap race before passing for the lead on the penultimate turn of the final lap. GEICO Honda‘s Zack Osborne completed the podium in third.